“I thought I had found love. I thought I had found my forever. I’d never been more wrong in all my life.” Sadie Westbrook’s seemingly perfect life comes to a screeching halt when she catches her fiancé in bed with another woman. Suddenly, everything she believed in is tested and there’s only one person she can turn to—the guy who has been by her side ever since their best friend’s fell in love and became inseparable. Ezra Collins—the bassist for the band Willow Creek—has only ever had one weakness, and her name is Sadie. 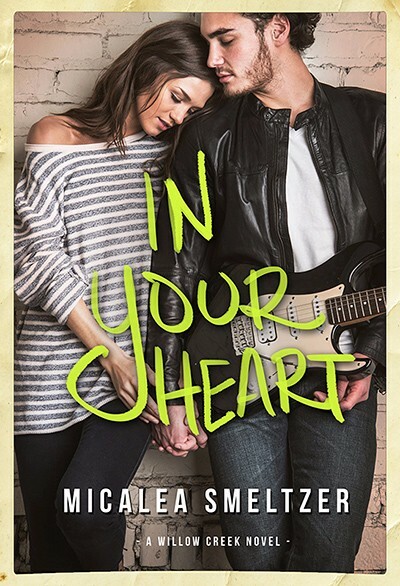 When he receives a frantic call he rushes to her aid, helping to pick up the pieces of her crumbling life—even if that means letting Sadie live with him. The close proximity tests the limits of their friendship and as the lines between friends and lovers blur they’ll have to decide if falling in love with your best friend is worth the risk of losing them.